‘Ash vs Evil Dead’ Soundtrack Coming Soon!!! If you can’t get enough ‘Ash vs Evil Dead‘ we’ve got one more thing to gorge yourself on as you wait for new episodes. Composer Joseph Loduca’s original soundtrack to the series is going to be an absolute must for the mega-fans in your life. The album will be released digitally December 11th and on CD December 18th by Varese Sarabande. The full track list can be seen below and contains 22 pieces including “Ain’t For Shabbas” and “No Accident”. 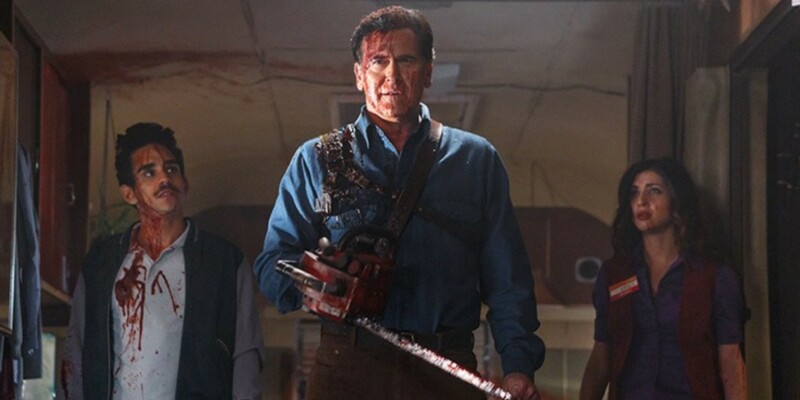 ‘Ash vs Evil Dead‘ continues the story of Ash and stars the fantastic Bruce Campbell. 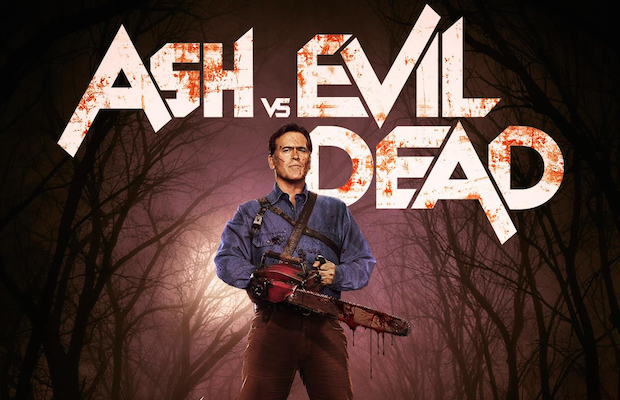 30 years after the events of Evil Dead, Ash is a loner, living a dull existence, still not able to come to grips with the events that started at the cabin. In the event of a deadite invasion Ash must attach his chainsaw and pick up his trusty boomstick one more time, all while finally coming to terms with his past. Vinyl Soundtracks Of ‘Rudy’ and ‘Scream 1 & 2’ Coming Soon!!! Pick Up Your Copy of Two DC Universe Soundtracks Tomorrow!!! This entry was posted on Thursday, November 12th, 2015 at 1:54 pm	and is filed under Film, Music, News, Television. You can follow any responses to this entry through the RSS 2.0 feed. You can skip to the end and leave a response. Pinging is currently not allowed. « ‘The Night Before’ Is The Greatest Thing Since ‘The Hangover’!! !